minecraft map downloads | Surviving Minecraft, Minecraft Adventures! 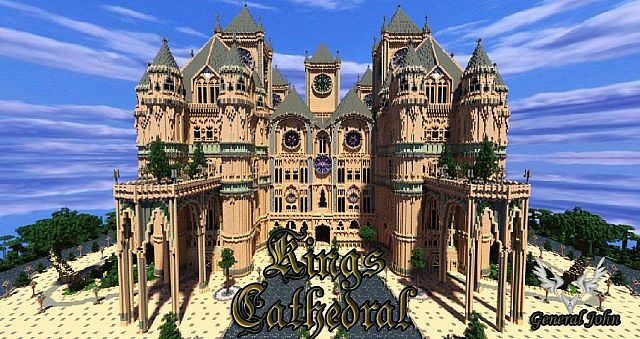 If you like to make your own minecraft adventure maps, or multiplayer server maps, or even minecraft survival maps, then you need to check out King’s Cathedral by talented minecraft builder, General John. This massive 438 x 452 x 256 Cathedral towers into the sky, reaching all the way to max build height. Use it as a focal point or convert it into a dangerous dungeon for adventures. Or just download it and marvel. This entry was posted in Minecraft World Save Files and tagged minecraft builds, minecraft church downloads, minecraft downloads for map makers, minecraft map downloads on April 26, 2013 by Hope. 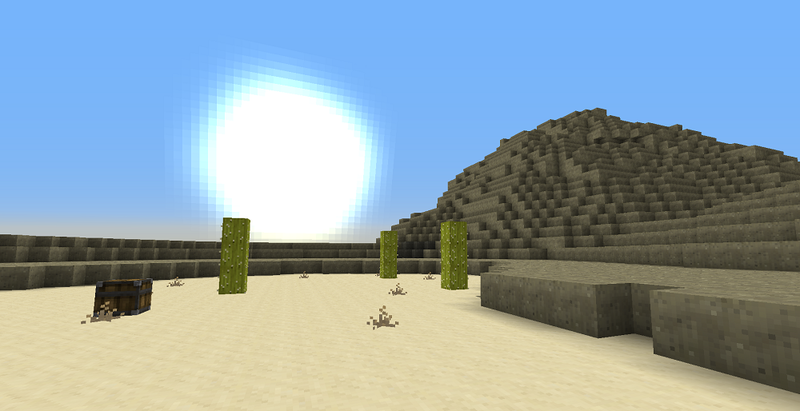 I don’t know about you, but I like my minecraft survival maps sparse. I like them hot and dry. I want to feel my lips crack as my tongue swells with dehydration. From the moment I spawned in Stonecraft, I knew I was in for a challenge. Like me, you’ll be greeted with an almost alien landscape where sand and stone reign supreme. The only green you’ll find hereabouts are the cacti and well, they ain’t exactly good eating now, are they? Click here to read more, check out a picture of a cow and download this minecraft survival map! This entry was posted in Survival Maps and tagged minecraft download, minecraft map downloads, minecraft survival map on September 22, 2012 by Hope.